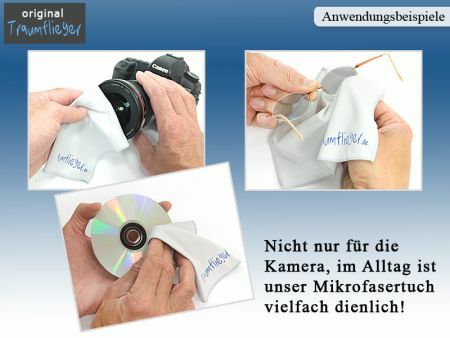 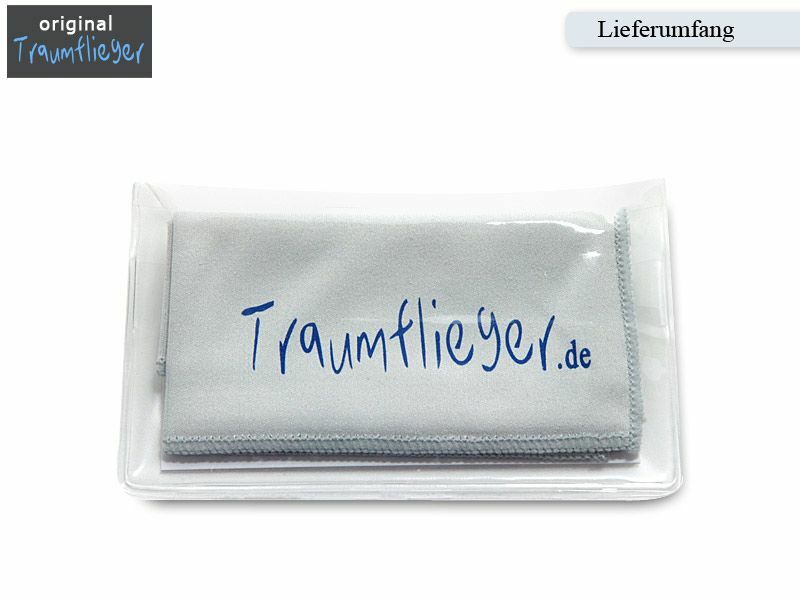 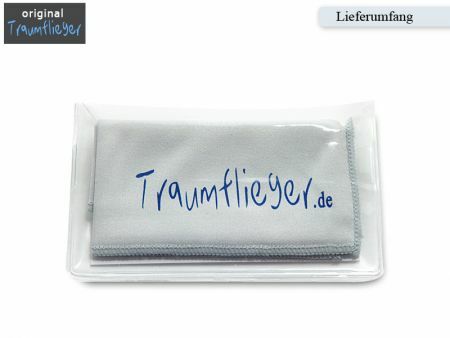 TheTraumflieger Cleaning Wipe ist made for fast and perfect care of sensivity surfaces like lenses, displays, glasses etc. Finest microfibre takes dust and fingerprints away. 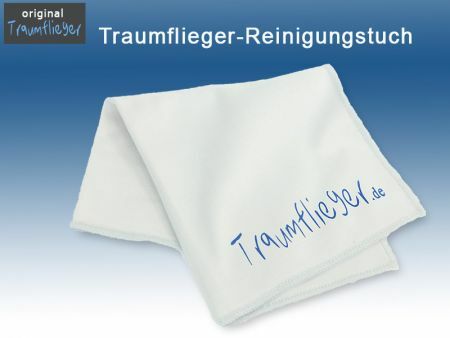 Washable up to 40 degrees, please never use conditioner!